iPhone Stuck on Apple Logo after iOS 12/12.2 Update? Here's the Real Fix! An iPhone user recently asked this query about iOS 12/12.2 stuck on Apple logo. Unfortunately, after a quick research, I could notice that a lot of other users are facing this issue too. You might already know that any new iOS version comes with a few risks. If there is a problem with the update on your device, then your iPhone can get stuck on Apple logo after iOS 12/12.2 update as well. Though, if you follow some thoughtful steps, then you can fix this issue on your own. Part 1: Why is iPhone/iPad stuck on Apple Logo after iOS update? Part 3: How to fix iPhone stuck on Apple logo on iOS 12/12.2 without data loss? Part 4: How to fix iOS 12/12.2 stuck on Apple logo in recovery mode? Part 5: How to fix iPhone stuck on Apple logo on iOS 12/12.2 in DFU mode? Before listing different ways to fix the iOS 12/12.2 stuck on Apple logo problem, it is important to know what could have caused it. If you have updated your phone to a beta release of iOS 12/12.2, then it can brick your device. A firmware-related issue on your phone can also cause this problem. If there is a conflict in your phone with the existing iOS profile, then it can make your phone malfunction. Check if a button has been pressed or whether there is wiring issue on your phone. A corrupt firmware update is one of the major reasons for this problem. If the update has been halted in between, then it might make your iPhone stuck on Apple logo iOS 12/12.2. While these are some major reasons, the problem could have happened due to some other issue as well. If you are lucky, then you would be able to fix the iOS 12/12.2 stuck on Apple logo by simply force restarting your phone. It resets the current power cycle of the device and fixes a few minor issues as well. Since a force restart won’t delete the existing data on your phone, this is the first thing that you should do. The drill is a bit different for various iPhone models. Quick-press the Volume Up button and release it. After that, quick-press the Volume Down button and release it. Now, press the Side button for at least 10 seconds. All these three steps should be in quick succession. As your iPhone would be restarted, let go of the Side button. Hold the Power (Wake/Sleep) button and the Volume Down button at the same time. Keep holding them for another 10 seconds. Your phone would vibrate and will restart in the normal mode. Let go of them as your phone would restart. Press the Power (Wake/Sleep) and the Home button simultaneously. Hold them for another 10 seconds. As your screen would vibrate and turn black, let them go. Wait for a while as your phone would be forcefully restarted. In this way, you can fix an iPhone stuck on Apple logo after iOS 12/12.2 update with minimum efforts. 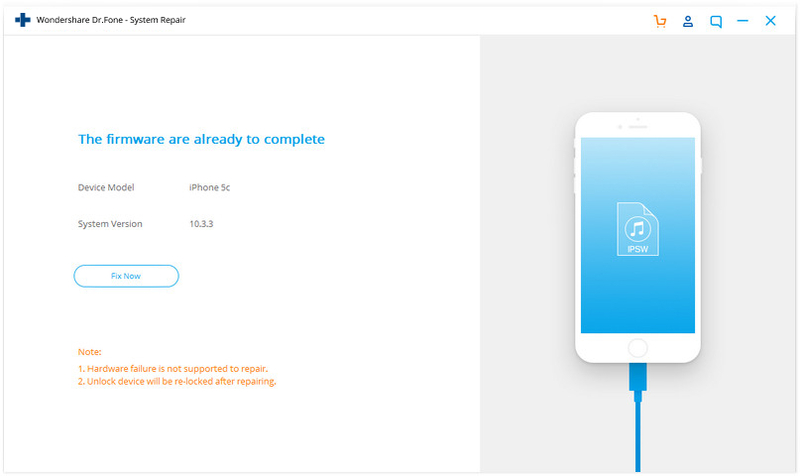 Another risk-free method to fix iOS 12/12.2 stuck on Apple logo is using dr.fone - Repair (iOS). Developed by Wondershare, it is a part of the dr.fone toolkit and provides a user-friendly solution to all the major iOS related issues. It doesn’t matter if your device is stuck on the Apple logo or a white screen of death, if it has become unresponsive or whether you are getting any iTunes error – with dr.fone – Repair, you can fix it all. Fix with various iOS system issues like stuck on recovery mode/ DFU mode, white Apple logo, black screen, looping on start, etc. Supports iPhone X / 8 (Plus)/ iPhone 7(Plus)/ iPhone6s(Plus), iPhone SE and the latest iOS 12 Beta fully! The tool can fix your iPhone under different scenarios. One of the best things about dr.fone – Repair is that the existing data on your device would be retained. It will automatically update your device to the latest stable iOS version while retaining its native data. Since it is compatible with iOS 12/12.2, you won’t face any trouble fixing the iOS 12/12.2 stuck on Apple logo issue. Here’s how I fixed it using dr.fone – Repair without losing my data. Download dr.fone – Repair on your Mac or Windows PC and launch it whenever your iPhone seems to malfunction. From its welcome screen, go to the “Repair” module. 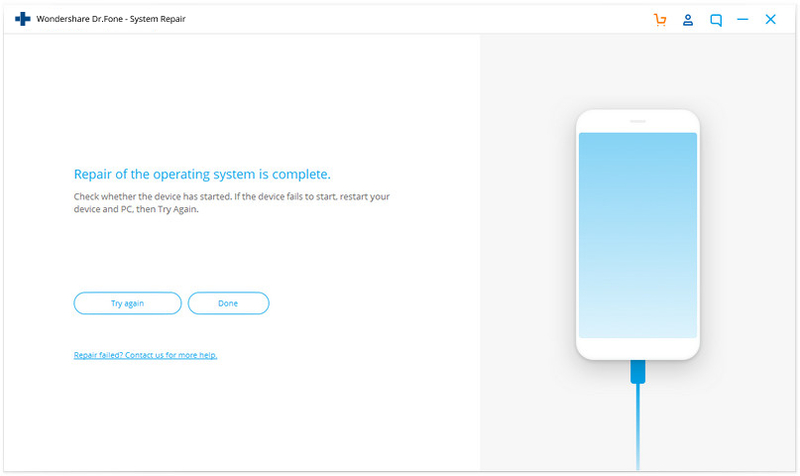 Now, connect your phone to the system and click on the “Start” button to commence the process. In seconds, your phone would automatically be detected by the application. The interface will list its basic details that you can verify. If you want, you can copy its serial number from here before clicking on the “Next” button. In order to proceed, you need to put your phone in the DFU (Device Firmware Update) mode. The key combinations are different for various iPhone generations. You can just follow the on-screen instructions to do the same. I have also discussed how to put different iPhone models in DFU mode later in this guide. As soon as your device would enter the DFU mode, the application will detect it automatically. On the next window, you need to provide some basic details related to your phone like its OS version, serial number, model, etc. 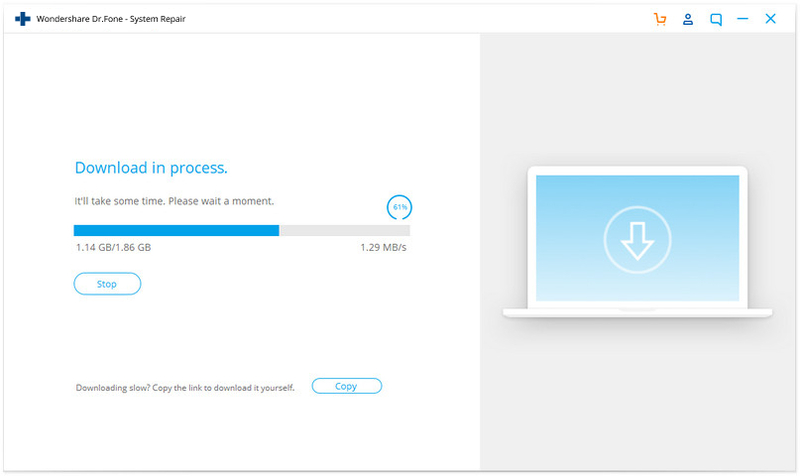 After filling the needed details, click on the “Download” button. 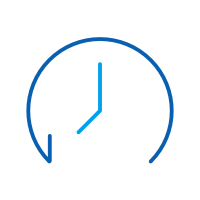 Sit back and wait for a while as the application would download the latest stable version of the firmware update for your device. It might take a while due to the size of the firmware update. Make sure that the device is connected and that you have a stable internet connection. Once the download is completed, you will be notified. Just click on the “Fix Now” button to resolve any issue related to your device. If you don’t want to lose the existing data on your phone, then make sure the option for “Retain native data” is enabled. The application will take the needed steps and would update your phone to a stable version. In the end, your phone would be restarted in the normal mode and you will be notified. Now wasn’t that a piece of cake? After restarting your phone, you can remove it safely from the system and use it the way you like. 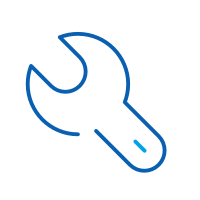 If you don’t want to use any third-party tool to fix your iPhone stuck on Apple logo after iOS 12/12.2 update, then you can consider this solution. By applying the correct key combinations, you can first put your phone in the recovery mode. After connecting it to iTunes, the device can later be restored. 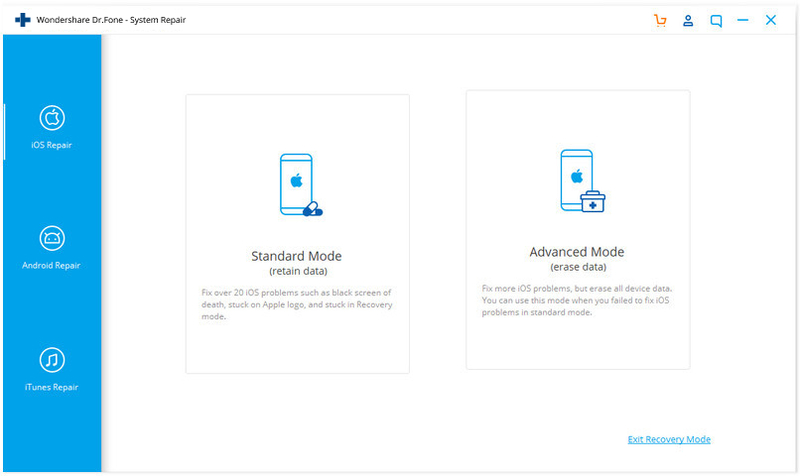 While it might fix the iOS 12/12.2 stuck on Apple logo problem, it will also restore your device entirely. That is, all the existing data on your device would be deleted in the process. Therefore, I would recommend that you should only follow this technique if you have already maintained a backup of your data. Otherwise, you won’t be able to retrieve the deleted data afterward. 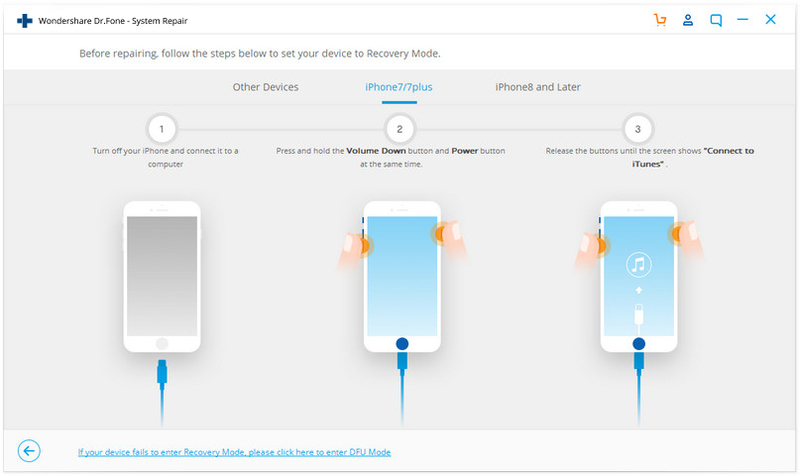 If you are ready to take the risk, then follow these steps to put your phone in the recovery mode. The key combinations might vary from one iPhone model to another. Launch an updated version of iTunes on your system. Connect one end of the lightning cable to the system and the other end to your iOS device. Quick-press the Volume Up button and let it go. In the same way, quick-press the Volume Down button and release it. Hold the Side button for a few seconds until you see a connect-to-iTunes symbol on the screen. Firstly, update iTunes and launch it on your Mac or Windows computer. Connect your phone to the system with a lightning cable. Press and hold the Volume Down and the Power button at the same time. Keep pressing them till you see the iTunes symbol on the screen. Connect your phone to the system and launch iTunes on it. At the same time, press and hold the Home and the Power key. Keep pressing them for the next few seconds till you get the connect-to-iTunes symbol on the screen. Once your phone enters the recovery mode, iTunes will automatically detect it and display the following prompt. Simply click on the “Restore” button and wait for a while as your phone would be restored. If you want, you can update your phone from here as well. In the end, your device will be restarted in the normal mode and the iOS 12/12.2 stuck on Apple logo would be fixed. Though, all the existing data on your phone will be gone. Another solution to fix the iOS 12/12.2 stuck on Apple logo problem is by putting your phone in the DFU mode. The DFU (Device Firmware Update) mode is used to update the firmware of iPhone and can be activated by following certain key combinations. While the solution might seem simple, it comes with a catch as well. Since it will restore your device, all the existing data on it would be deleted. If you don’t want to lose your important data, then I would certainly not recommend this solution. Though, if you have already taken a backup of your data, then you can put it in the DFU mode to fix your iPhone stuck on Apple logo after iOS 12/12.2 update. Launch an updated version of iTunes on your Mac or Windows and connect your iOS device to it with a lightning cable. Turn off your device and only press the Side (on/off) button for 3 seconds. Now, while still holding the Side button, press and hold the Volume Down key. Keep pressing both the buttons for another 10 seconds. If you see the Apple logo, then you have got it wrong and would have to start again. While still holding the Volume Down key, let go of the Side button. Keep pressing the Volume Down key for another 5 seconds. In case if you see the connect-to-iTunes symbol on the screen, then you have got it wrong and would have to start again. If the screen stays black, then it means you have just entered your device in the DFU mode. 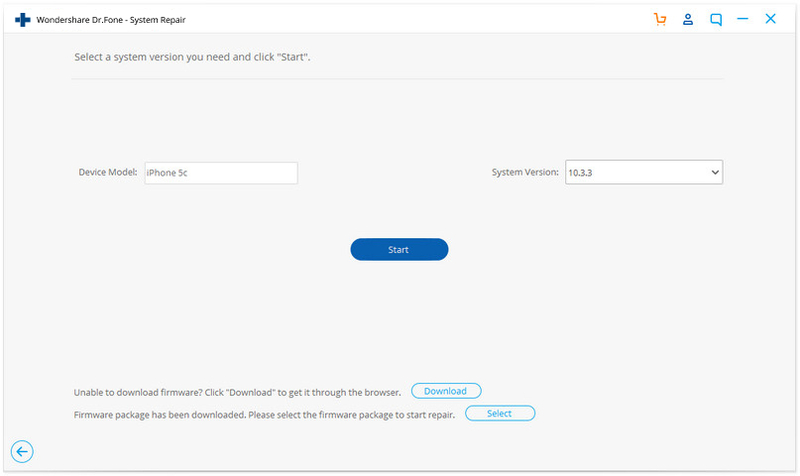 Connect your device to the system and launch an updated version of iTunes on it. Firstly, turn off your phone and press the Power button for 3 seconds. Afterward, press the Volume Down and Power button at the same time for another 10 seconds. Make sure the phone won’t be restarted. Let go of the Power button while still holding the Volume Down button for another 5 seconds. Your phone should not display the plug-into-iTunes prompt. If your phone’s screen stays black, then it has entered the DFU mode. Connect your iOS device to the system and launch iTunes. Once it is off, press the Power key for around 3 seconds. At the same time, press and hold the Power and the Home key for another 10 seconds. If your phone restarts, then follow the same process from the start as something must have gone wrong. Release the Power key while still holding the Home button. Keep pressing it for another 5 seconds. If you get the connect-to-iTunes prompt, then something is wrong and you need to start again. If the screen stays black, then your phone has entered the DFU mode. Great! Once your device has entered the DFU mode, iTunes will detect it automatically and would ask you to restore your device. Confirm your choice and wait for a while as your phone would be restored entirely. I’m sure that after following these suggestions, you would be able to fix your iPhone stuck on Apple logo after iOS 12/12.2 update. Out of all the discussed solutions, dr.fone - Repair (iOS) is considered the best choice to fix iOS 12/12.2 stuck on Apple logo problem. It can fix all the major iOS-related issues with your device while retaining its data. If you don’t want to experience any unwanted data loss on your device, then download this remarkable tool as it can save the day during an emergency. How to Fix iPhone Keeps Freezing After iOS 12/12.2 Update? After iOS 12 update, people found that their iPhone/iPad start freezing all of a sudden. Don't sweat. This article will introduce you a few effective ways to fix iPhone freezing after iOS 12 update. Is your iPhone stuck on Apple logo after iOS 12 update? Read on and we have listed different foolproof solutions to fix the iOS 12 stuck on Apple logo problem. What to do if iOS 12 downgrade is stuck on recovery or DFU mode? Want to know the answer? Then read the article to thoroughly come out of the unwanted situation. If you want a guide on the best methods for recovering lost data after the iOS 12 update, then, go this article is the best choice to get the relevant solutions. Want to know how I recovered my data when iOS 12 deleted my photos? Read on as I have listed 5 things to do if your photos are disappeared after iOS 12 update. > How-to > iOS 12 > iPhone Stuck on Apple Logo after iOS 12/12.2 Update? Here's the Real Fix!